The physical length of any HF antenna is critical to achieving resonance and good performance on a particular band. Dipoles need to be half a wavelength long, locating these long antennas can be an issue, especially when we are aiming for the 80 metre band or lower. However, we can reduce the space needed to a quarter wavelength if we decide to use an end fed antenna. The end fed antenna is essentially half a dipole, it uses a good earth connection to complete the arraignment. 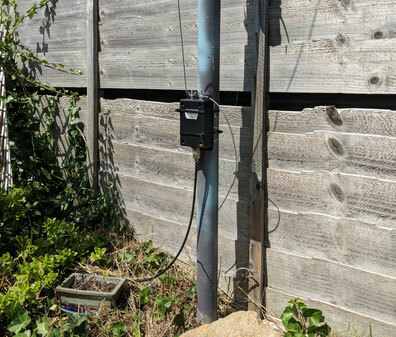 Below is one example of how to build an 80 metre band long wire antenna for a house with a small garden. To identify the correct length I used the fantastic Antenna design page created by Martin. E. Meserve: http://www.k7mem.com/Ant_End_Fed.html. For the 80 meter band, the ideal length is 21.9 metres. The antenna is fed by low loss coax into a 9:1 UnUn. One terminal of the UnUn is connected to a good ground and the other to the antenna wire. The UnUn is located away from the house. 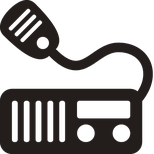 Low loss coax is used due to the distance between the radio and the UnUn. I used a length of copper water pipe as the earth spike. A standard earth connector tab was used to make the connection. Counterpoise radials can also be added to improve antenna performance. For this antenna to present a good match to your radio an ATU will be required. I used an Auto-ATU, however, because this is a mono band design a simple manual tuner may be better. I found that my ATU was easily able to present a 1:1 match to my radio. To fit the antenna in to the room available the antenna wire (or at least the para cord supporting it) is strung over the roof of the house. This was achieved by attaching fishing line to a tennis ball and throwing this over the roof. Paracord was then attached, then the insulator and the antenna pulled over. This paracord was pulled taught and tied off on a cleat. The UnUn is fixed to a pole at the furthest point from the house. The antenna wire is connected to the UnUn along with the earth connection and feeder coax. With the use of an ATU a 1:1 match was easily achieved. The 80 metre performance was great, far better than trying to tune up a 40 dipole to work on 80. Also, this antenna is quite, very quiet. This is probably due to the antenna being fed away from the house. Good news! This antenna is currently only useful on 80 metres, but if traps were used then the antenna could become multiband...Sounds like a fun project for the winter. Overall I am very happy with this antenna. 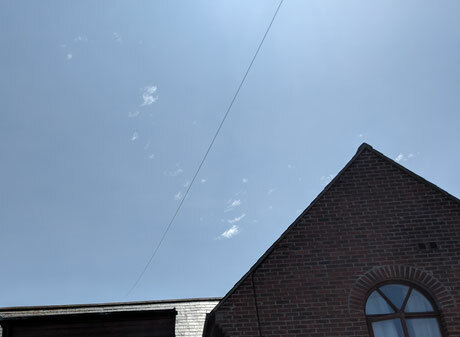 The antenna works well on 80 metres and fits into my back garden, this would not have been possible with a dipole design. I would recommend this antenna to anybody struggling to fit an 80 metre dipole in their yard. A fun project with many more tinkering possibilities for the future.